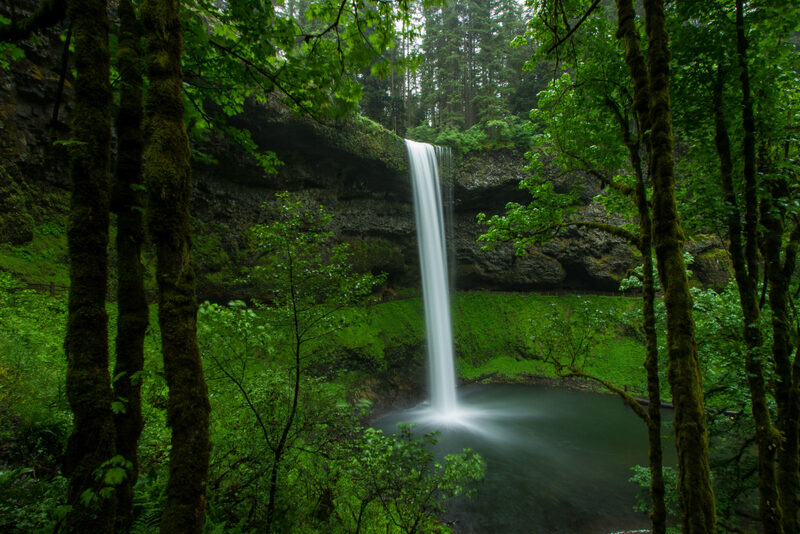 This is South falls in Silver Falls State Park in Oregon. Spring is a great time to visit the park. The waterfalls are all at full volume and everything is so green!